appointment safely and on time. We don’t just pick you up at the curb. We offer door-through-door services, helping you get out of your house and to your appointment safely and on time. All vehicles include full driver-monitoring systems that track speed, braking, acceleration and more. Our professional drivers are all certified in elderly patient sensitivity, CPR, First-Aid, and defensive driving. All of our vehicles are 2013 or newer, certified crash test compliant, plus fully inspected and detailed on a weekly basis. State of the art equipment and technology provides the safest and most comfortable ride every time, guaranteed. We are proud to provide the safest and most comfortable non-emergency medical transportation in Melbourne. We also offer long-distance non-emergency medical transportation if you need to travel 150 miles or more. For instance, if you live in Jacksonville and need a ride to Tampa we will get you there. As a family owned and operated business we treat you like one of our own. To protect your comfort and safety, all of our drivers are guaranteed smoke, alcohol and drug free. Plus, driver-monitoring systems are checked at random three times per week by our risk manager to ensure drivers always follow proper protocols and safety precautions. 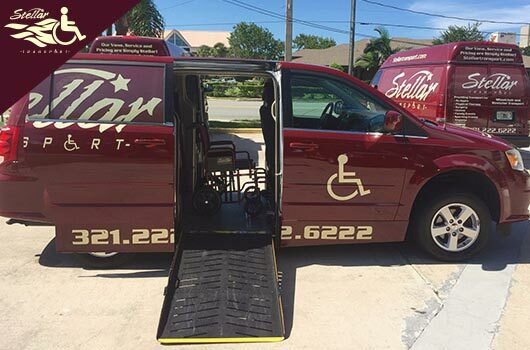 Our compassionate team of professionals are trained to handle handicap, stretcher and elderly transportation with utmost care. If you are facing a life-threatening emergency you need to call 911; we are not an ambulance service. We are the leading provider of Melbourne non-emergency medical transportation for handicap, stretcher, and elderly patients. Our state of the art vehicles and highly trained professionals ensure the safest and most comfortable ride in town. Our custom vans are specially made for stretchers. The vans are equipped with Stryker Power-Load cot systems for safer lifting and loading, which is the same system used by fire departments. Two qualified people are always on site for stretcher transportation. 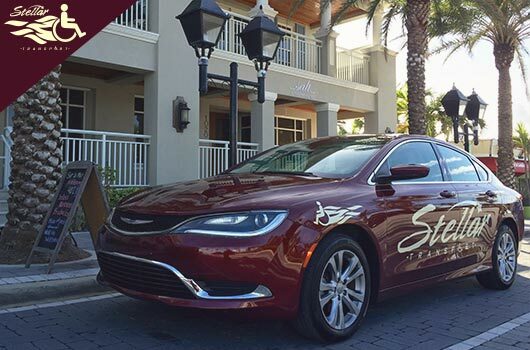 We don’t just pick you up and drop you off at the curb, we offer door-through-door service. 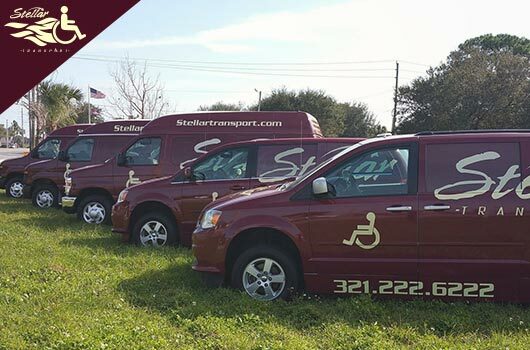 All of our drivers are certified in elderly patient sensitivity, and will safely assist getting you in and out of your home, as well as into your appointment on time. Our advanced vehicles and equipment grant easy and comfortable loading and unloading for handicap patients of all ages. Our staff is trained to safely assist you any way necessary. Our vehicles are all 2013 or newer, as well as fully stocked with the latest safety equipment, and are crash test compliant. All vehicles are monitored by camera surveillance and checked 3 times per week by our risk manager to confirm clients are properly loaded, belted in and equipment is appropriately put to use. All vehicles are equipped with ride monitoring systems that measure speed, breaking and acceleration. Weekly audits are preformed to make sure drivers are following strict safety standards behind the wheel. We take sanitation very seriously. All of our vehicles are detailed routinely to increase comfort and reduce the risk of spreading bacteria. Vehicles are thoroughly checked on a regular basis including all interior equipment as well as under the hood. This safeguards our ability to transport clients without encountering any unexpected issues.